Mr. Jaffe has handled over sixty capital cases, including 5 federal death penalty cases. Only one of his clients has ever received the death penalty and only a small number are serving life sentences. His acquittal rate is among the highest in the country. He is the only attorney in the nation who has successfully defended three death row inmates at new trials after they had previously been sentenced to death. He and his firm have participated in numerous other acquittals of individuals facing serious punishment, both at trial and on appeal. In addition, Mr. Jaffe has successfully represented many individuals and corporations facing significant sentences for violations of Federal Criminal Offenses. Mr. Jaffe began his career as an Assistant Attorney General for the State of Alabama, then served as a Deputy District Attorney, before entering the private practice of law in 1978. Mr. Jaffe has been board certified by the National Board of Trial Advocacy as a Criminal Trial Specialist since January 31, 1984. (Copyright 2006 by Woodward/White, Inc., of Aiken, S.C.). He is currently listed in both Super Lawyers and Best Lawyers in America. Mr. Jaffe has served on the board of directors for the National Association of Criminal Defense Lawyers for over 6 years. 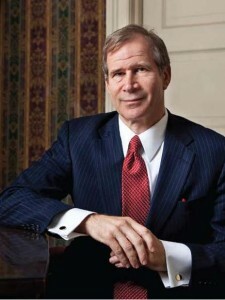 He is licensed to practice law in New York, Georgia, D.C. and Alabama. He is a sought after speaker at litigation conferences throughout the United States. Mr. Jaffe served as president of the Alabama Criminal Defense Lawyer’s Association, and is a founder and past-president of the Greater Birmingham Criminal Defense Lawyer’s Association. He taught “Evidence” at the minority Miles Law School in Birmingham, Alabama for eight years. Mr. Jaffe has published many articles and papers in connection with the training of attorneys. His February 2001 article in the Champion magazine was repeatedly cited in the Cornell Law Journal in a definitive study on jury selection in capital cases. It has been reprinted by several organizations that train trial lawyers.